If you refuse the script from your doctor, you may be labeled ignorant or reckless. That said, antibiotics are far too prescribed these days. In fact, studies also show that antibiotics are prescribed unnecessarily for conditions caused by viruses, especially the common cold or the flu. Not to mention, antibiotic side effects can cause serious harm to the body. At the same time, taking antibiotics too often, or when you don’t need them, can increase your risk of antibiotic resistance. This means antibiotics no longer work, and they fail to kill all the bad bacteria. The Centers for Disease Control and Prevention (CDC) estimates that at least 2 million people become bacteria-resistant to antibiotics, and around 23,000 people die as a result of these infections. Therefore, if you knew of safe and natural antibiotic alternatives, would you consider them? In this article, you will learn more about the side effects of antibiotics, as well as the safer alternatives to these potentially harmful drugs. The reality is that infections have a natural course, before your body recovers. Not just that, but published scientific literature appears to show that too much credit is given to antibiotics and their benefit. A 2015 study published in Rhinology concluded that there was only a slight added benefit in the usage of antibiotics over the placebo in the treatment of acute rhinosinusitis. In other words, the placebo was much safer and almost as effective as the antibiotic therapy. At the same time, there are a lot of side effects associated with antibiotics. Let’s take a brief look at some of the key side effects of antibiotics. Upset stomach is often a listed side effect of antibiotics with diarrhea, abdominal pain, cramps, nausea, and vomiting being possible symptoms. These symptoms are likely the result of an imbalanced microbiome—also called imbalanced gut bacteria or dysbiosis. Evidence shows that antibiotics take out both the good and the bad bacteria while leaving the person more vulnerable to infection with repeated antibiotic exposure. Even short-term antibiotic exposure is thought to disrupt the gut microbiome for up to a year or more, while repeated antibiotic use prevents recovery. It is important to note that inflammatory bowel disease is one of the several chronic illnesses linked with low good bacteria levels. Dysbiosis is also associated with weight gain, obesity, and autoimmune diseases. Fluoroquinolone antibiotic use is also associated with slowed fracture healing in rats, according to a study published in the Turkish Journal of Trauma & Emergency Surgery in 2005. A population-based study published in the Canadian Medical Association Journal in 2012 found that antibiotics like moxifloxacin and levofloxacin have an association with an increased risk of acute liver injury. There are well known psychiatric risks of taking antibiotics, including confusion, irritability, mania, psychosis, and suicidal thoughts. Interestingly, the term antibiomania has also been coined due to the potential for antibiotics to trigger mania symptoms. A 2015 study published in the Journal of Clinical Psychiatry suggests that the higher antibiotic exposure results in a higher risk of depression and anxiety. Some people may unknowingly believe that their mental illness is a new diagnosis that requires lifelong treatment, rather than just a result of antibiotic usage. While taking an antibiotic like tetracycline, your body may become more sensitive to light, and therefore light can seem brighter. Your skin may also be prone to sunburns. Photosensitivity is thought to go away once your antibiotic has finished. A fever is a common antibiotic side effect and can result from any antibiotic. That said, fevers are more common with antibiotics like minocycline, cephalexin, beta lactams, and sulfonamides. Permanent tooth staining can result from antibiotics like tetracycline and doxycycline. This is especially true in children younger than eight years old whose teeth are still developing. At the same time, when pregnant women take these antibiotics, they may stain the primary teeth of their developing child. Certain antibiotics are linked to changes in the blood. For instance, leukopenia is a possible reaction that is characteristic of a reduction in white blood cells. There may also be thrombocytopenia—also known as a low level of platelets. This can lead to slowed blood clotting, bruising, and bleeding. Sulfamethoxazole and beta-lactam antibiotics are thought to cause these effects more often. Allergic reactions are considered common with any drug, especially antibiotics. Some reactions are mild, but others are serious and require medical attention. When allergic to certain antibiotics, you will have a reaction immediately with symptoms like hives, trouble breathing, and swelling of the throat and tongue. At times, certain antibiotics can cause heart problems, including low blood pressure or an irregular heartbeat. Antibiotics that are known to cause these problems include erythromycin, the antifungal terbinafine, and fluoroquinolones like ciprofloxacin. Antibiotics like ciprofloxacin have reportedly caused tendon rupture or tendonitis. Everyone is at risk of tendon problems when taking antibiotics. But, certain people have a greater risk of tendon rupture, including people with existing kidney failure; a history of tendon problems; have had heart, kidney, or lung transplants; are taking steroids; or are older than 60 years old. Although rare, it can happen, especially if you have a history of seizures. Seizures are considered more common with antibiotics like imipenem, ciprofloxacin, and cephalosporin. If your seizures worsen from antibiotics, contact your doctor immediately. Fortunately, there are many natural antibiotic alternatives that help resolve bacterial imbalances without any of the side effects associated with antibiotics. Better yet, many of the natural therapies can easily be incorporated into your life to help prevent various types of infection. Let’s take a look at some of the best natural antibiotic treatment methods. These approaches can also prevent the likelihood of infectious diseases from occurring in the first place. Colloidal silver, or silver nanoparticles, has been used for over 2,000 years for bacterial infections. It works by damaging the cell membranes of pathogenic bacteria. Colloidal silver is both effective as an oral antibiotic and for the topical treatment of skin infections, including methicillin-resistant Staphylococcus aureus—also called MRSA. For centuries, herbs were used as antibiotics, and they continue to be quite effective to this day. For instance, galangal is a herb traditionally used in Asian countries. Studies have shown that it is effective against E. coli (Escherichia coli) and Salmonella tryphi, and other drug-resistant bacterial strains. Elecampane is an herbal remedy found to be effective against 200 isolates of Staphylococcus aureus—also called a staph infection. Nigella sativa extract also kills MRSA, while oregano and cinnamon are considered effective antibiotics against various drug-resistant species. Effective immune support formulas on the market often include echinacea, goldenseal, and oregano, while elderberry is a good kid-friendly antibacterial syrup option. Oregano essential oil contains the predominant healing compound called carvacrol, which is arguably why oregano oil is powerful for treating bacterial infections. Studies have shown that the combination of oregano oil and colloidal silver has antibacterial activity against certain drug-resistant bacterial strains. Other studies show that oregano oil is effective against five different types of bad bacteria. The highest activity was observed against E. coli, which suggests that oregano oil should be routinely used to prevent food poisoning and promote gastrointestinal health. Research also shows that tea tree oil is effective against staph infections and E. coli when combined with eucalyptus essential oil. Other very potent antibacterial essential oils include thyme oil, cinnamon oil, lemongrass oil, ginger oil, peppermint oil, and grapefruit oil. Garlic has been among the most powerful medicinal foods for centuries. Today garlic is recognized for its potent antibacterial and antimicrobial activity. A study published in the Iranian Red Crescent Medical Journal in 2014 found that garlic was even more effective for a standard antibiotic called metronidazole in the treatment of bacterial vaginosis. Garlic is also considered effective in the treatment of H. pylori (Helicobacter pylori), pneumonia, C. difficile (Clostridium difficile), and other lung infections. Manuka honey is among the most powerful foods you can consume, while it has been promoted by various cultures for thousands of years. Research shows that manuka honey is effective against strep throat, urinary tract infections, and antibiotic-resistant C. difficile infections. A study published in Complementary Therapies in Clinical Practice in May of 2017 also found that manuka honey is also effective against MRSA. Honey, in general, contains bee propolis, and a combination of bee saliva and wax, which contains more than 300 compounds that fight harmful bacteria. A great way to prevent microbial imbalances from causing infections is strengthening your good bacteria—also called probiotics. Getting more probiotics is a good way to improve the immune system while preventing bacterial infections such as bacterial vaginosis, H. pylori-mediated gastric infections, and gingivitis. It is also a good idea to prevent infections with probiotic and fermented foods, especially kimchi, sauerkraut, kefir, kombucha, tempeh, and miso. What if you take an antibiotic? You can just take a probiotic afterward, right? The unfortunate part is that most probiotics only contain a few bacterial species, and the gut contains thousands. As a result, this support method after antibiotic use is considerably challenging. Whenever an infection hits, as a society, we must break from the pattern that says an antibiotic is the only solution to the problem. 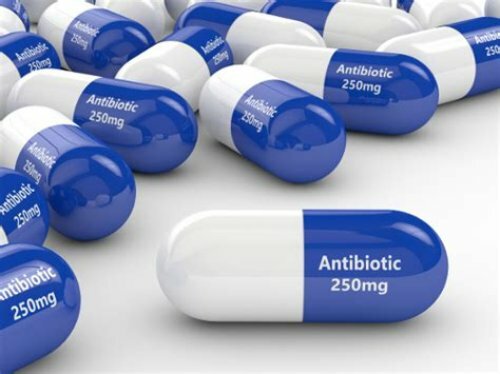 After all, antibiotic use can lead to countless problems, including antibiotic resistance, dysbiosis, slowed fracture healing, acute liver injury, depression and other psychiatric risks, fever, photosensitivity, tooth discoloration, allergic reactions, blood reactions, heart problems, tendonitis, seizures, and more. So, it is a good idea to add natural antibiotic alternatives to your health arsenal. Some of these include colloidal silver, herbal remedies like galangal, essential oils like oregano oil, garlic, manuka honey, and probiotics as an effective preventive measure. The next time you experience symptoms of an infection that would normally call for antibiotics, consult a natural practitioner and consider a natural approach instead. “Side Effects of Antibiotics: What They Are and How to Manage Them,” Healthline, August 23, 2016; http://www.healthline.com/health/infection/antibiotic-side-effects#introduction1, last accessed July 31, 2017. Brogan, K., “Antibiotics: Side Effects and Alternatives,” GreenMedinfo, July 15, 2017; http://www.greenmedinfo.com/blog/antibiotics-side-effects-and-alternatives. McDonald, L.C., “Effects of short- and long-course antibiotics on the lower intestinal microbiome as they relate to traveller’s diarrhea,” Journal of Travel Medicine, April 1, 2017; 24(suppl 1): S35-S38, doi: 10.1093/jtm/taw084. Tuncay, I., et al., “A comparison of effects of fluoroquinolones on fracture healing (an experimental study in rats),” Turkish Journal of Trauma & Emergency Surgery, January 2005; 11(1): 17-22. https://www.ncbi.nlm.nih.gov/pubmed/15688263. Paterson, J.M., et al., “Fluoroquinolone therapy and idiosyncratic acute liver injury: a population-based study,” Canadian Medical Journal Association, October 2, 2012; 184(14): 1565-1570, doi: 10.1503/cmaj.111823. Lurie, I., et al., “Antibiotic exposure and the risk for depression, anxiety, or psychosis: a nested case-control study,” Journal of Clinical Psychiatry, November 2015; 76(11): 1522-1528, doi: 10.4088/JCP.15m09961. Bhattacharyya, M., et al., “A case report of the use of nanocrystalline silver dressing in the management of acute surgical site wound infected with MRSA to prevent cutaneous necrosis following revision surgery,” International Journal of Low Extremity Wounds, March 2008; 7(1): 45-48, doi: 10.1177/153473460702232. Latha, C., et al., “Antiplasmid activity of 1’acetoxychavicol acetate from Alpinia galangal against multi-drug resistant bacteria,” Journal of Ethnopharmacology, June 25, 2009; 123(3): 522-525, doi: 10.1016/j.jep.2009.03.028. Scandorieiro, S., et al., “Synergistic and Additive Effect of Oregano Essential Oil and Biological Silver Nanoparticles against Multidrug-Resistant Bacterial Strains,” Frontiers in Microbiology, May 23, 2016; 7:760, doi: 10.3389/fmicb.2016.00760. Mohammadzadeh, F., et al., “Comparing the Therapeutic Effects of Garlic Tablet and Oral Metronidazole on Bacterial Vaginosis: A Randomized Controlled Clinical Trial,” Iranian Red Crescent Medical Journal, July 2014; 16(7): e19118, doi: 10.5812/ircmj.19118. Hussain, M.B., et al., “In vitro susceptibility of methicillin-resistant Staphylococcus aureus to honey,” Complementary Therapies in Clinical Practice, May 2017; 27:57-60, doi: 10.1016/j.ctcp.2017.04.003.